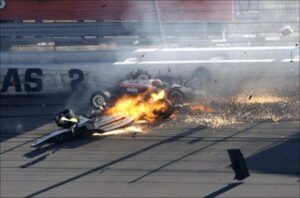 The fiery Las Vegas crash that took the life of Indy 500 winner Dan Wheldon was one of many missteps that led to Bernard's ouster. Randy Bernard, the head of the IndyCar racing series, has stepped down after a controversial, three-year reign following an angry revolt by team owners determined to oust him. The announcement comes despite widespread praise for the IndyCar Series which was credited with having one of its best seasons ever. Among other developments, Chevrolet returned to the racing program this past year, a season that saw IndyCar introduce its first all-new car in nine years. But the series has been plagued by dissent, some owners openly talking of a coup against Hulman & Co., which controls both the IndyCar Series and the Indianapolis Motor Speedway. Despite the strong showing this past year, Bernard was blamed for a number of missteps that hurt both the racing league and his own position as its chief executive. Among the most criticized moves was a decision to hold the series’ final race of 2011 in Las Vegas at a track that some experts felt was too dangerous at IndyCar speeds. To build momentum, however, Bernard offered a $5 million bonus that brought back Indy 500 winner Dan Wheldon. The popular driver was killed during a multi-car accident that left wreckage strewn across the track. 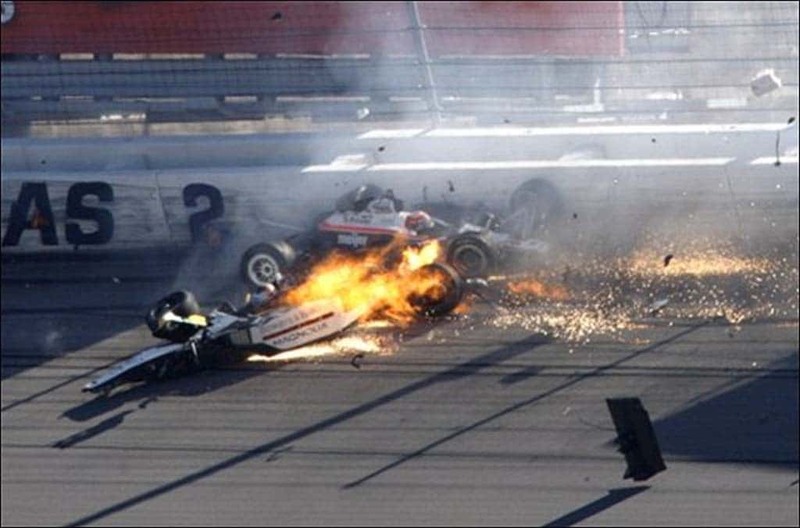 The 2011 crash nearly wrecked the IndyCar league itself and ultimately contributed to Bernard’s ouster. But a variety of other issues added to the internal turmoil, including the basic fact that Bernard had little experience in racing. He had previously headed the championship bull-riding program. The situation only got worse with the “Turbogate” scandal, which saw Honda make some controversial engine changes going into this past season. Owners fired a series of complaints against Bernard during an angry April meeting. And following the Indy 500 race over Memorial Day weekend, the CEO himself confirmed he was under pressure by a number of team owners to leave. Shortly after, IndyCar Series founder Tony George made a bid to buy the race program from Hulman & Co. George, part of the family that owned the Indianapolis track, had himself been ousted several years earlier in a family coup. The management crisis came to a head last week when driver Graham Rahal, one of the most popular and familiar of the IndyCar drivers, posted a Tweet that appeared to be aimed at the series’ managers and team owners. “Come on people either keep Randy or fire him but this is foolish and embarrassing for the sport,” Rahal wrote. Bernard’s weekend ouster came as a “mutual separation,” according to a statement by the series. Considering the good year IndyCar is coming off of, some observers believe it can overcome the latest crisis – though others worry that Bernard’s departure will lead to the same sort of paralysis that hit the series for months after Wheldon’s 2011 death. Roger Penske, one of the most powerful figures in motor sports and a long-time IndyCar team owner, declared he was “disappointed” by the ouster of Bernard three years in on a five-year contract. Penske took aim at the IndyCar board, accusing its members of “poor judgment,” contending that there was “no future plan” for the series post-bernard. For the moment, the interim IndyCar post will be be given to Jeff Belskus, president and CEO of Hulman & Co., though he told the Associated Press a search will now begin to find a long-term replacement. This entry was posted on Monday, October 29th, 2012 at and is filed under Automobiles. You can follow any responses to this entry through the RSS 2.0 feed. Both comments and pings are currently closed.